My mind has been consumed with thoughts about Robin William’s suicide. Most of us living with chronic pain know depression way too well, and although I posted about his death yesterday, I feel the need to expand upon it. First let me share that I don’t normally get caught up with the latest celebrity death RIP tweets, posts, etc…. While I will agree that they will be missed and I sympathize with their families, their deaths, unless I knew them personally, have no real impact on my life. Did I know Mr. Williams? No. Did I think he was talented and entertaining? Definitely! The result of his death is my never seeing him perform again. My point is that he could have quit show business and the result would have been the same. What shook me was that he committed suicide. I have seen the impact on others who have lost a loved one because of suicide. But I never fully understood how much a person would have to be hurting to reach that point of not just wanting to, but to be ready to end their life. That is until I found myself in that same dark and disturbing place a year ago. Rest assured I am no longer in that place and I pray that I never fall prey to the ugly beast that calls itself depression again. Depression is not the blues. It is not just having a bad day, week, or month. Depression is a vicious, dark, soul eating beast. Depression is feeling unworthy of being loved. It’s feeling like you’re a burden on your spouse, children, family, friends, and society. You feel as though your life has no meaning or worth. It is a thick, dark cloud that distorts reality. Instead of seeing nine playful puppies and one venomous snake, you see a thousand snakes and nine dead puppies. It’s wondering how fast you would need to drive into a telephone pole to guarantee death. Depression is wanting to go to bed and never see the sun rise. Finding the positive and joyful aspects of anything is next to impossible and so much more. 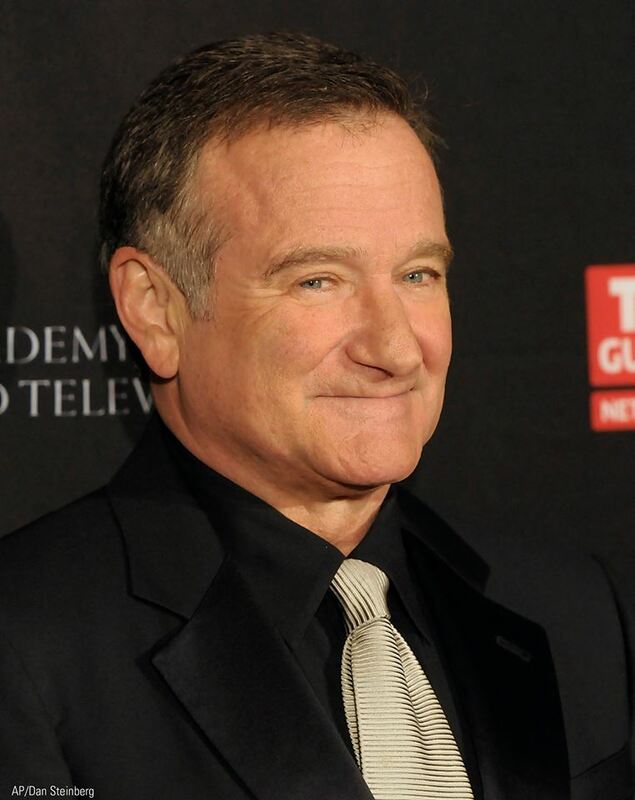 Robin Williams reminded me of the emotional anguish. He reminded me of just how much a heart can ache. But his death has also affected me in a positive manner. I thought of how blessed I am to have such a loving and supportive spouse. I thanked God for the change in medication that helped me overcome the beast. Most of all I am relieved that my family didn’t have to experience the sorrow that Robin’s family is. If you are having thoughts about killing yourself please seek help. If you feel that you don’t have someone you can talk to call a suicide prevention line or a medical professional. Do not be embarrassed to seek help. My advice to those who love someone who is depressed or suicidal is as follows: Love them and share why they are special to you. Reach out to them. People who are depressed will not reach out to others. Don’t tell them to think positively, they would if they could. Don’t make assumptions when trying to figure out why they are depressed. Ask them. No matter the cause they will need some form of help. Above all, be patient. Whether it be via pharmaceutical medications, natural remedies, and/or therapy no one escapes depression’s clutches at the same rate. Some symptoms of depression are isolation, not answering the phone, avoiding friends in public, excessive crying, anger, alcohol and drug abuse, and having no interest to do anything. Please share any other symptoms you feel family and friends should look for and any advice you may have for those wanting to help as well as for those who may need help.